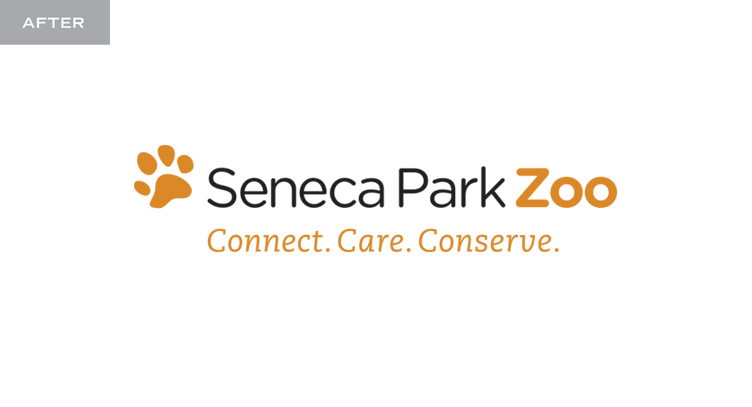 The Seneca Park Zoo is undergoing some huge changes on campus and within the organization to better serve their animals and the surrounding community. They needed a brand that communicated their mission of “Connect. Care. Conserve.” to a large audience more accurately than their previous brand did. A delicate balance between serious conservation efforts and a place for the family to have fun needed to be achieved in all communication starting with the logo and brand’s visual elements. A history of being “The Natural Place for Families” perpetuated the idea that the zoo was for preschool aged children and that was it. While perfect for families, the mission of conservation got lost in the fun of the day and their audience was aging out in elementary school. 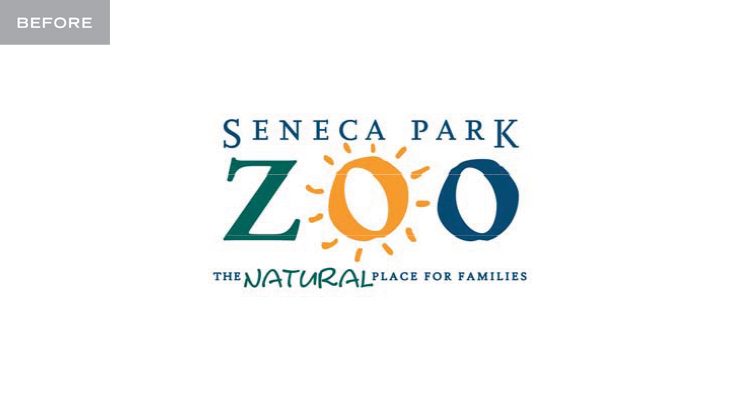 As a whole, the brand language speaks volumes about the efforts that the Seneca Park Zoo does for it’s animals. 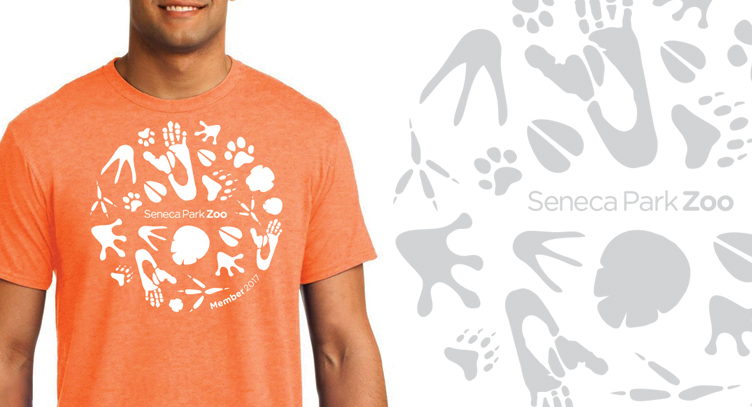 The versatility of the brand allows for communication to encompass all animals and their environments without becoming juvenile in its execution. Because of this, the audience is a much larger demographic than the previous brand. 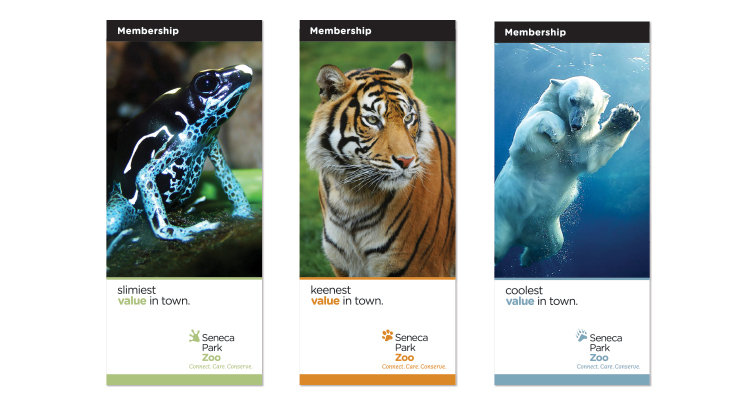 When needed, the tonality of communication can be more serious for their conservation efforts and more playful for their events and programs. 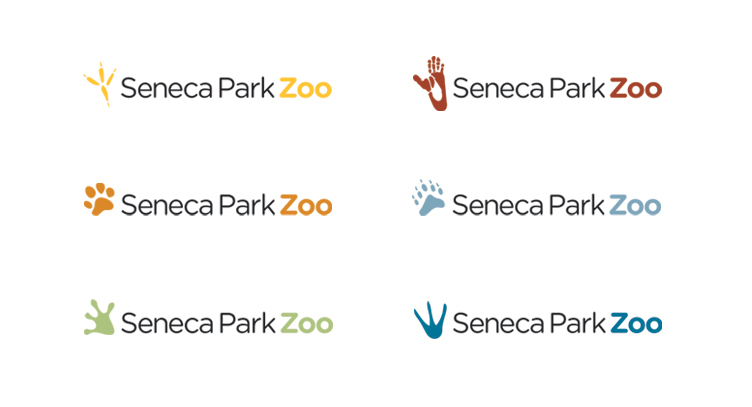 The rebrand has been openly accepted by the community and the zoo will be slowly rolling out new on-site signage and communications as their expansion develops. Speak to your audience and be authentic. It is the only way to foster a truly loyal following.